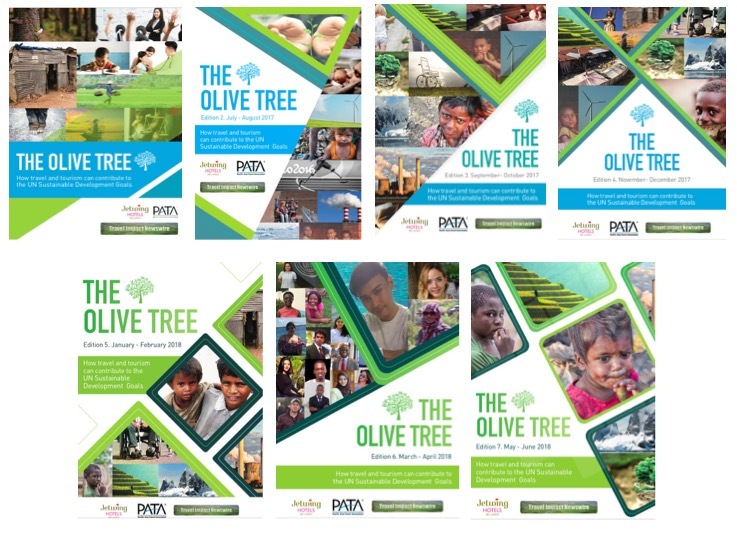 Bangkok – Applications are now open for the second round of the Olive Tree Awards essay competition, the first such endeavour specifically designed to give young people a voice in advancing the UN Sustainable Development Goals. Millennials under 30 all over the world are invited to submit essays of up to 1,200 words on the topic: “How Travel & Tourism can Contribute to the UN SDGs.” The winner will get prize money of US$1,000 and two runners-up will get US$500 each. Deadline for submission of the essays is August 1. The winners will be announced on 21 September, the UN International Day of Peace. The prize money is being generously donated by a prominent Dubai-based benefactor from the Islamic world who preferred to remain anonymous. 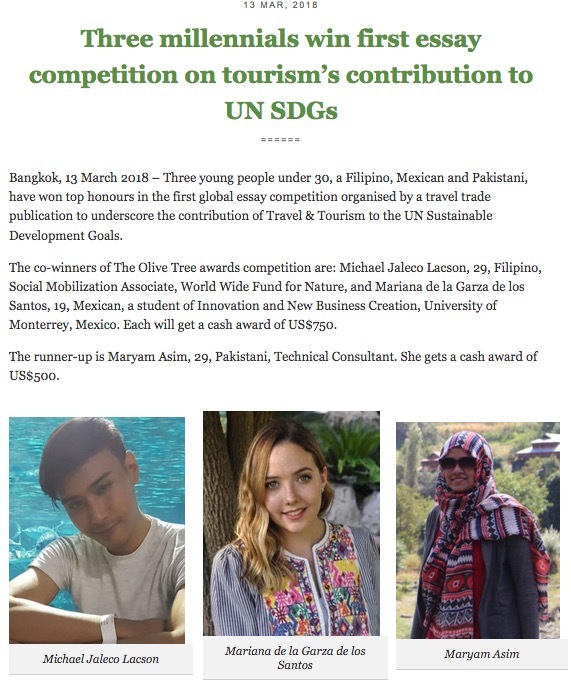 Conceptualised and initiated by Imtiaz Muqbil, Executive Editor of Travel Impact Newswire, the essay competition is an extension of The Olive Tree, the first publication of its kind designed to help travel & tourism become a more enthusiastic part of the solution in achieving the UN SDGs. Click on the image to access The Olive Tree website. The first round of the essay competition was launched on 21 September 2017 and attracted 96 essays from young people in 20 countries. 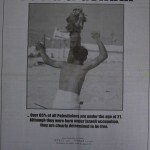 The three winning essays and 13 other shortlisted essays were published in the March-April edition of The Olive Tree. 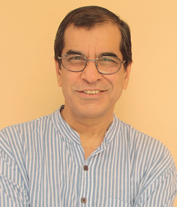 The first round was sponsored by Mr. Sonu Shivdasani, CEO and Commercial and Creative Lead, Soneva Resorts. In addition, the co-winners separately won one-week stays at Soneva Resorts, courtesy of Mr. Shivdasani, and Jetwing Hotels of Sri Lanka, courtesy of CEO Mr. Hiran Cooray. Writers must be aged under 30 at the date of submission (ID proof of age will be required). Writers NEED NOT be employees or students of Travel & Tourism. Anyone can submit an essay, but there must be a Travel & Tourism angle. Essays must be written in English, upto a maximum length of 1,200 words. 3) Download The Olive Tree publications to access thought-prompting ideas on the topic. 4) Pen an essay presenting a good idea, venting a powerful frustration, or sharing a passion, experience or event. 5) Don’t feel held back. Let your creativity, and especially your conscience, be your guide. 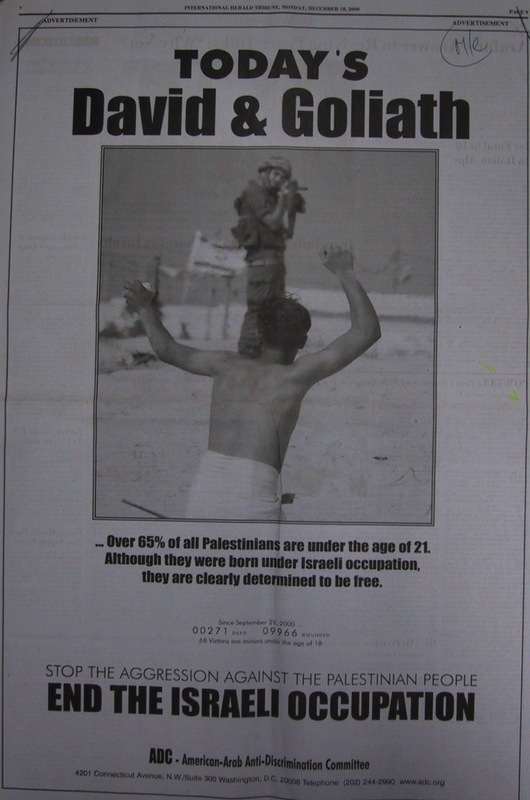 6) Controversial themes which challenge conventional wisdoms are particularly welcome. 7) Look beyond environmental issues. Explore ideas in the fields of peace & conflict, good governance, anti-corruption, transparency, accountability, human rights, universal values, etc. IMPORTANT NOTE: Although all essays must be in English, they will be judged on the quality of the ideas, NOT the quality of the English. The deadline for the second round of submissions is 01 August 2018. Winners will be announced on 21 September 2018. The following six judges are confirmed. One more will be assigned in due course. Mrs. Asha Sehgal, Asia-Pacific Coordinator, Global Peace Initiative of Women. Mrs. Narzalina Z Lim, President, Asia Pacific Projects, Inc., – Tourism and Hospitality Consultants, Manila. Mr. Dmitri Cooray, Manager Operations, Jetwing Hotels, Sri Lanka. Mr. Mario Hardy, CEO, Pacific Asia Travel Association.